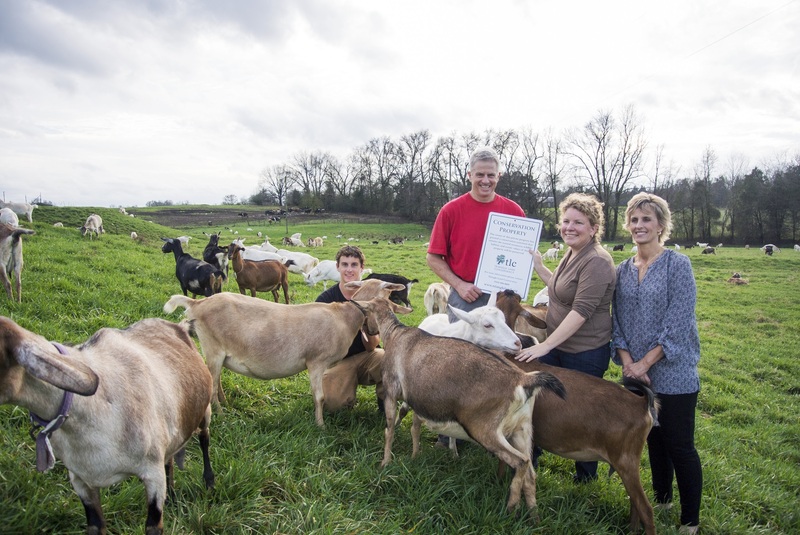 The Lindley family has operated their 182-acre dairy farm in Chatham County since the late 1800s. Neill Lindley, the fifth generation of farmers in the family, still owns and runs the farm today. Lindley took over his family’s farm with his wife Cori in 1982 after graduating from NC State University. In 2009, along with help from his father Darryle and son Neill Jr., the Lindleys began to transition away from traditional practices, making their farm organic and sustainable. Part of that process involved signing their land into a conservation easement with the Triangle Land Conservancy (TLC). The easement allows the Lindleys to continue farming, and it protects their land from future development. “We definitely try to work with landowners that use sustainable practices,” said Leigh Ann Hammerbacher, the associate director of conservation and stewardship at TLC. TLC holds conservation easements on nearly 700 acres of farmland in the Silk Hope area of Chatham County. The American Farmland Trust estimates that 40 acres of the nation’s farmland is lost to development every hour. In Durham, Orange and Wake counties, on average one of every five acres of farmland has been lost to development over the past 20 years. These easements play an important role in protecting farmland from that development, and they are also important in helping provide farmers with much-needed funding. Hammerbacher said the Lindley family invested the funding they received back into the Lindale Farm, aiding in the transition to more sustainable practices. Now that the farm is fully organic, she said the Lindleys are doing very well. The Lindale Farm is a part of Organic Valley, the nation’s largest organic farmer cooperative. Farmers sell their products locally in all 50 states, and even export to 25 countries worldwide.